CAD Forum - Random shape and appearance of an Inventor part or assembly. Random shape and appearance of an Inventor part or assembly. 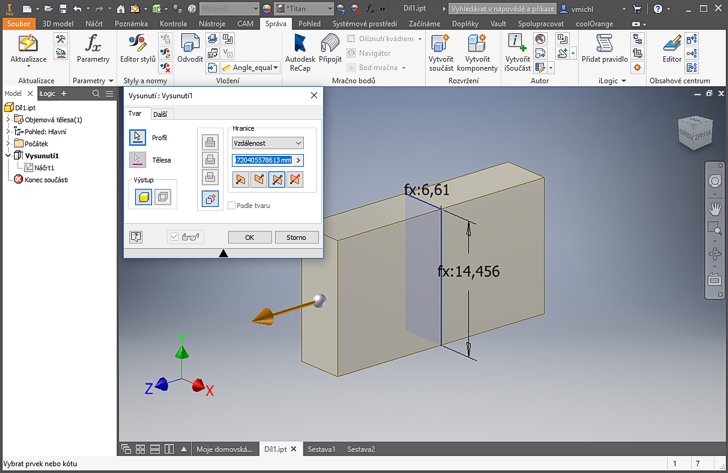 With a simple iLogic macro (rule) you can pseudo-randomly change shape of Inventor parts, their appearance, or geometry and appearance of complete assemblies. 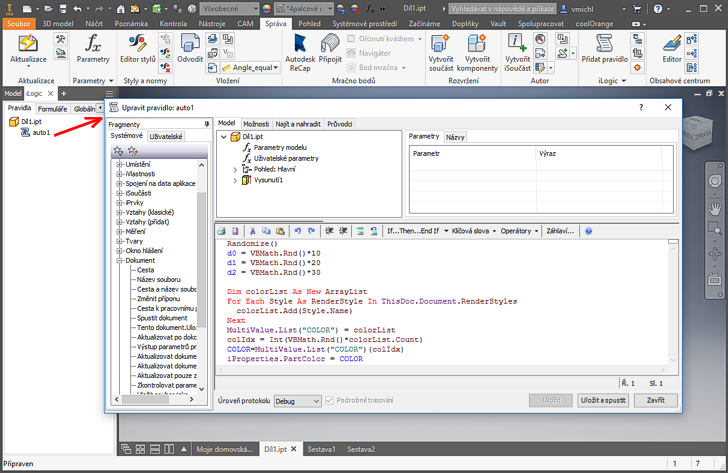 Assigning random values to dimensional parameters can help when creating architectural (e.g. facade) elements, designer components of consumer products, or in other creative experiments. The core of such dynamic designs is driving dimensional parameters by iLogic rules and using the functions Rnd(), resp. Randomize(). 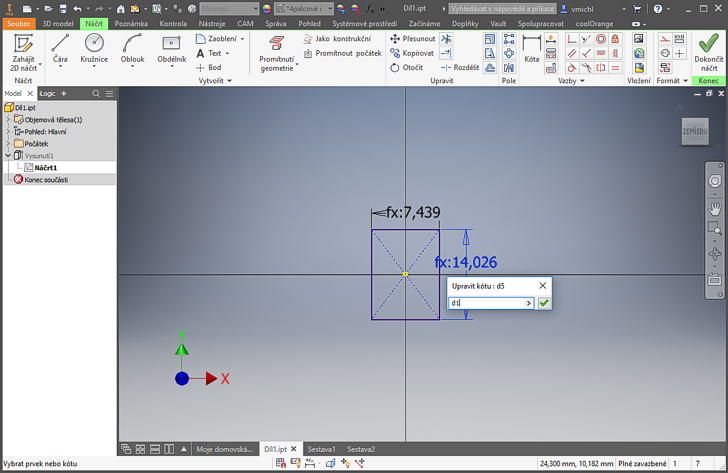 You can of course control any type of parameter - fillet radius, number of array elements, bending angle, etc. For the specific macro code, see below. NOTE: the macro code can be found in the sample IPT part Dil1.ipt in the Block catalog. If you need to have all assembly parts in their own, individual appearance and size, you will first need to copy the Dil1.ipt file to multiple individual copies and then combine them by inserting/placing into a single assembly. Tip 11244: Labels with incrementing numbers - assembly with numbered labels for laser cutting. 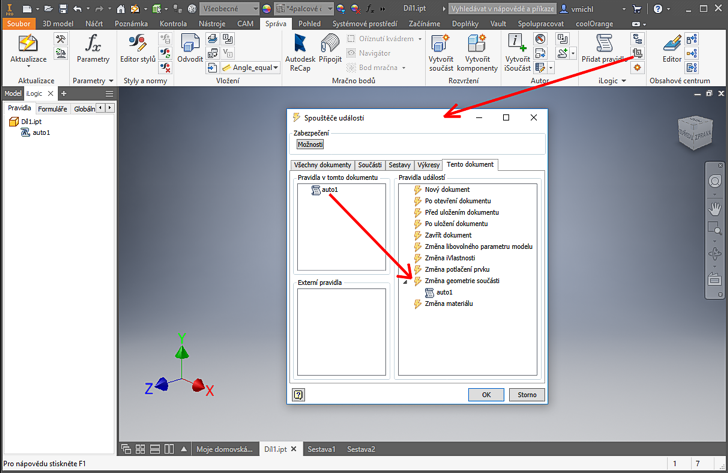 Tip 11211: Mass change of units in the whole Inventor assembly. Tip 9952: iLogic rule - check whether iProperties are overridden. Tip 9935: How to distinguish between an assembly and weldment in VBA or iLogic? Selected tip: How to use AutoCAD on a Mac? AutoCAD display (status bar) jumps and flickers while zooming. « | » PaintSelect - select objects by cursor painting - paint selection.